Hire a professional photografer to catch the best moments of your adventure! Video shooting Fuerteventura is a service made by professionals, that will make great videos of you doing your favourite sport, or of your business, in order to get more visibility. Our contact with cleaners and workers can arrange each type of cleaning or reforming for your surfschool, surfhouse or shop. Dont exitate to contact us for an apointment. Ocean guide Fuerteventura gives you the opportunity to have a surf session with a local surfer, that will bring you to explore the best surf spots for the day according to your surfing level. With our partners websites we manage some hotels, private Apartments in Fuerteventura and surf house. 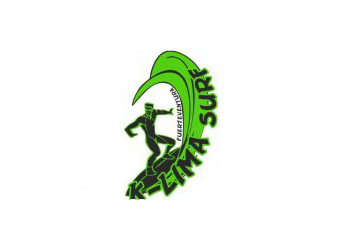 "Welcome to K-lima surf school! Our surf school offers professional help for beginner surfers, with qualified instructors, adequate and well-maintained equipment for all age and weight groups, and perfect knowledge of education and training. The surf lessons are with us in small groups of max. 4 pers. (if desired also 6-8 pers.) held, so that learning can be customized. If they want to find surfing or have a fascinating insight into the surfing world, they can inform us at any time at the surf shop." content taken from K Lima Surf School surf school official website.